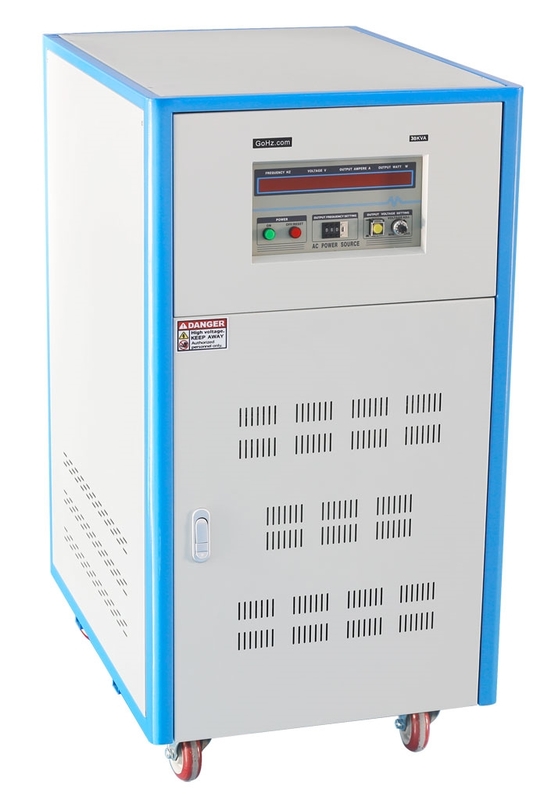 30 kVA pure sine wave 1 phase AC power frequency converter, change single phase 120V 60Hz to 240V 50Hz (vice versa) in one step by inner step up transformer for different equipment power system compatibilities. 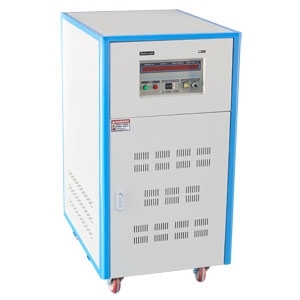 30 kVA single phase pure sine wave AC power frequency converter, make your appliances compatible with international power systems, change single phase 120V 60Hz to 240V 50Hz (vice versa) in one step by inner step up transformer. 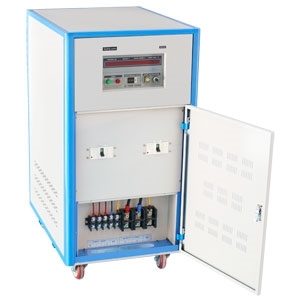 Tips: Why America chooses 60Hz power supply? It makes sense that 60Hz could be more efficient and more economical than 50Hz. 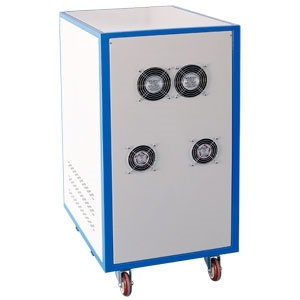 220/240V also makes more economical sense than the 110V the US uses. 240V and 60Hz seem to be the most efficient values, but only a few countries use that combination. I heard in Brazil they use different combinations, Japan is also split into 2 between 50Hz and 60Hz. Seems like voltage and frequency of AC power supply varies from country to country throughout the world. Most use 220V/230V and 50Hz. About 20% of the countries use 110V and/or 60Hz to power their homes. The 'Urban Legend' reason why the US choose 60Hz was in one of its first applications - The Electric Chair - it was determined that 60Hz was the optimum frequency to kill a human. This then became the standard. I HEARD THIS FROM MY college professor. Doesn't make that much sense though if you consider that same danger is being carried out to every home. Guess it was just a joke.